I sometimes receive emails from customers who ask for tips an tricks for things like sewing fold-over elastic, topstitching knit tops and hemming. I often recommend double needles for a neat look, but I realized that many people are afraid of using them (and don't sew enough to justify purchasing a cover stich machine). Since we do not have time to come up with little videos or articles about sewing techniques at the moment, I thought I would share one I found this morning with you. There is an interesting video on Nancy's Notions that shows the different sizes available (and the use for each of them) and how to use double-needles to hem a knit garment. The Tutu dance patterns are fabulous and I can see how the double needles would great when sewing something so fine. Hi Emilie & Jeanne! I enjoyed meeting you immensely at the PR weekend and am looking forward to your new patterns. Jeanne, I loved your binding technique, it's so unique. I plan on using it soon. You are both so talented & chic - I hope you had a good time too. I just found your blog as I was printing out some pattern instructions. Its a bookmark now! 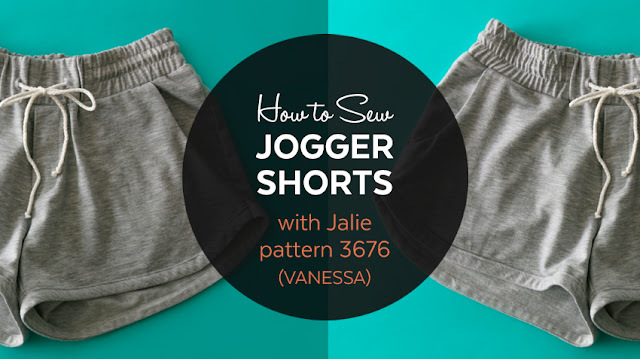 I have a few Jalie patterns and have only tried on, the discontinued yoga shorts for my little girl. They are awesome and I plan to make more. Oh, I also found the pics of you modeling your patterns. Gorgeous stuff! And you are so darn cute!